New Delhi: Twenty people developed blurred vision after they were injected allegedly with contaminated medicine in their eyes at Delhi government’s Guru Teg Bahadur hospital. Eight of the 20 patients had to be operated upon at AIIMS to restore their vision, said Dr Atul Kumar, the Chief of R P Centre at the premier health institute. He said these patients were injected with Avastin (Bevacizumab) which is an anti-growth factor drug used to prevent irreversible blindness in patients suffering from diabetic retinopathy, hypertensive retinopathy and age-related macular degeneration. “Avastian is classified as a sight-saving drug and is used all over the world. 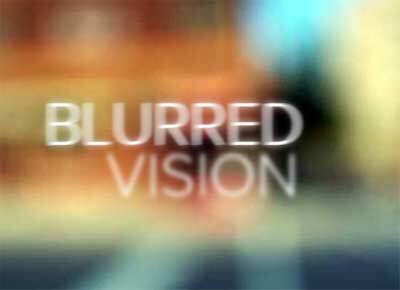 Now in this case, these patients probably were given contaminated injections as they developed blurred vision accompanied with mild pain. “Eight of them had to be operated upon to remove the infectious part of the vitreous humor, while the vision of the rest improved after primary treatment,” Dr Kumar said. One of the vials of the medicine – Avastin – used by GTB doctors is suspected to have been contaminated. The contamination may have happened for the drug was not properly stored, had manufacturing defect or had remained open after being unsealed till it was administered, Dr Kumar said. “I took my brother to GTB hospital on Saturday and he was given the injection after which he developed pain and got his vision blurred,” said Jaswinder Singh. “We took him back to the hospital. Few more patients who had received injections the same day also had complaints. The batch of 20 patients, including my brother, was then sent to AIIMS,” said Jaswinder, whose brother had been receiving treatment at the ophthalmology department of GTB hospital for more than a month. Dr Kumar said all the patients have been sent back to GTB hospital for their post-operative care. They will be brought to AIIMS every day for check up as a follow-up action. Avastin is a standard treatment for blindness prevention due to ageing, diabetes, hypertension and rupturing blood vessels. One vial contains around 20 doses. The medicine is imported from Switzerland. Meanwhile, Director of GTB hospital Dr Sunil Kumar said the sample of the drug has been sent to the laboratory for examination.